My interest in Japanese mountain stream fishing has brought me to Tadashi Otani. I’ve seen his inclusion here and there in the background of many fine Tenkara anglers and fishing events to know that he is passionate and at the same time, serious about Tenkara. He always shares his knowledge and enthusiasm and from afar, I consider him a Japanese Tenkara ambassador. During my visit to Japan where I was introduced to Go Ishii, I began to follow Ishii-san’s friends and have seen Otani-san in many of Go’s stories. I also know that Otani-san and Go welcomed Adam Klagsbrun in his visit to Japan. Otani-san’s smiling face is in many of the images that I follow. It is time for me to find out more about him now and at the same time share our knowledge. I became an acquaintance of Otani-san and have asked to use some of his images at Tenkara-Fisher His representation of Tenkara is skilled and interesting. I’ve read his words and have seen his skill and he has shown me through his own affiliations with other Japanese and American Tenkara anglers, that he is truly interested in spreading the knowledge of Japanese mountain stream fishing. So with that in mind, let’s start the interview. Adam: I first want to say, “thank you” or arigato for your participation here. I want to meet more Japanese friends and learn about Tenkara. 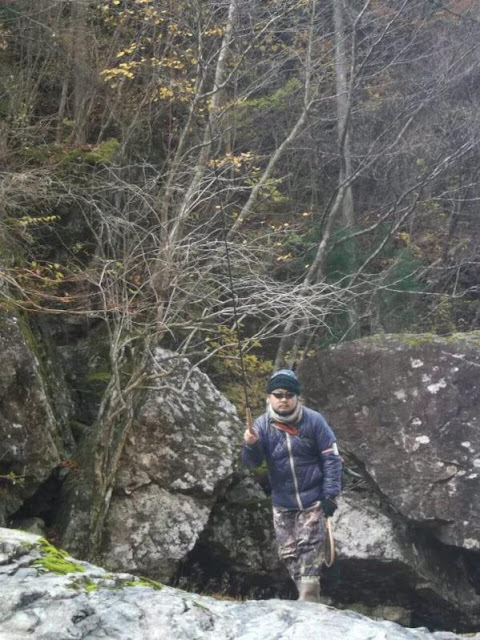 Japanese are very skilled in angling, I have learned so much from you guys about fishing, camping and my most important aspect, how to conduct myself as a person. My interest in Japan has been since I first visited in the 80’s and again a couple of years ago to fish. I first learned about Tenkara from Yoshikazu Fujioka in the late 90’s and recently I was introduced to Fujioka-san after 18 years of knowing him. It was a wonderful meeting on a stream in Colorado with Go, Fujioka-san, Daniel, and TJ. Otani-san, what matters to me about Tenkara is people. Tadashi Otani, I want to meet and go fishing with you. Tadashi Otani: I would like to express my gratitude for this opportunity to speak to the tenkara community beyond that of Japan and to those who share the enthusiasm around the globe. I of course look forward to meeting you in person Adam, but it is also nice for us to get to know each other this way. Adam: For now, it is nice that we can meet this way. I want to visit Japan again and I don’t want to wait that long to start to get to know you. Instead of a personal letter or e-mail, I think it is very interesting to other Tenkara fishers if we share our conversation here like I have done before with many other Japanese anglers. I love travelling with Tenkara. I have heard it said, “Although fish are important to fishing, catching them is not.” Fish are important for my travels. It is hard for me to explain. I guess all my years of fishing, the time I’ve spent in the mountains looking around has made me not so fish crazy any more but yes, fish are important. Fishing is the reason why I hike and go to the mountains but often, fish are not the reason why I had such a great time. It’s the whole experience, being with a few people, sharing the enjoyment of the mountain stream environment. Tadashi Otani: I have experienced all kinds of fishing since youth, but tenkara is the one that really got me to devote to in a way that it did. You would probably know what I mean. When I tried tenkara the first time, I knew right away that it had all the elements I was seeking. 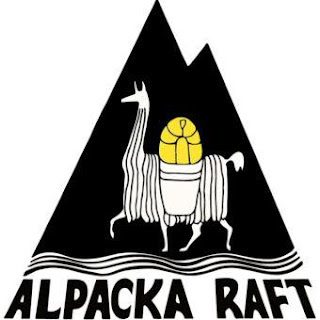 From fast radiant streams, being outdoors, and fishing; it had all the elements that challenged everything I had experienced and nurtured previously. This was made possible especially because I got to meet the people I did. What more could I say? The people in tenkara community are also what make tenkara special. It revolves around natural factors, necessity of great techniques, the simplicity of it all, the senses of feeling the fish directly through the line and the rod; everything about tenkara was about self-improvement and it brought me to the core of what fishing is about to me or what it can be, and it really fit to my interests. Adam: Otani-san, I like the Japanese companionship that I see in Headwaters magazine, the Japanese Tenkara books and online in the personal blogs, on Facebook. In comparison to the American Tenkara presence, I see that the Japanese are oriented to groups and gatherings. Fishing in Japan seems a little bit more of a social activity than all the solo reports I read have been told about in America. 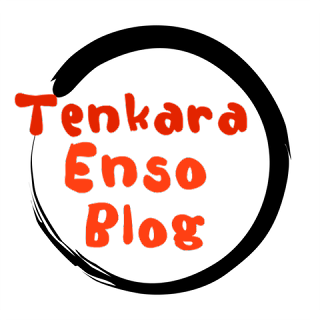 Of course there are exceptions and in those exceptions, I see another level of passion for Tenkara. Perhaps I do not understand the dynamics. 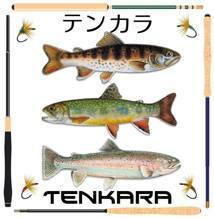 Tenkara is growing but it still seems such a small part of fly fishing. I’m not sure about comparisons but it is interesting to contemplate. For me, the Tenkara community is really all about meeting with others that have similar interests. It’s great fun to be around other fishermen and women sharing what you enjoy. For me, it’s about gathering or being alone in the mountain stream environment. I recently attended my first Tenkara USA summit where Go gave us a presentation about Japanese Tenkara. He used a video clip in his presentation of Tenkara and I recognized you quickly. It was nice to see you in the video. This is another way that I see you as an ambassador for Tenkara. You are in important Tenkara places and I notice this. The gathering was great and I really enjoyed it and it makes me excited to attend again next year. I want to strengthen the bonds that I make meeting people online, I want the connection to be complete by our meeting in person. Some of my favorite people and the friendships have started on the Internet. I visited the place where the “Fly Fishing Fair” is held on the Itoshiro. On a cloudy, rainy June day, we had lunch in the storage area where the signs where. I could only imagine what is behind those signs, it would be awesome to attend. My thoughts bring me there quite a bit. I still haven’t given up on attending. Tadashi Otani: It is not only true to fishing, but especially when fishing in mountainous terrain, there’s always a risk of serious or perhaps fatal incidents. This type of situation by yourself would be a hopeless one, but when you have another person or two, it would significantly increase your survival rate. Hence, I believe it is more desirable to enter a mountain stream with another or in a group. With that give, in my case here in Japan, as much as it is important to manage risk in mountain fishing, it is nice to fish alone sometimes and also to have companions on other occasions. I believe both experiences are necessary in order to improve one’s self as an angler. Individually you go out on your own and fish and most of all think! Then when you get together to fish with others you’ll discover things you never could on your own. But without the experience of being out on your own, you will not know how to appreciate this great opportunity. You can learn from well-seasoned anglers and less-experienced anglers. They help you realize your own style, because you get to see other anglers’ habits and traits in their techniques. This is a very exciting experience for me. You can take what you’ve absorbed and go back out on your own to reflect your findings onto your fishing. But of course, surrounding a fire with your fellow anglers drinking and talking about fishing is the best experience! We know how to make a tenkara outing as exciting and fun as it can be. I guess that is another set of techniques that should be recognized. Adam: I’ve learned a lot about Genryu fishing from Keiichi Okushi. 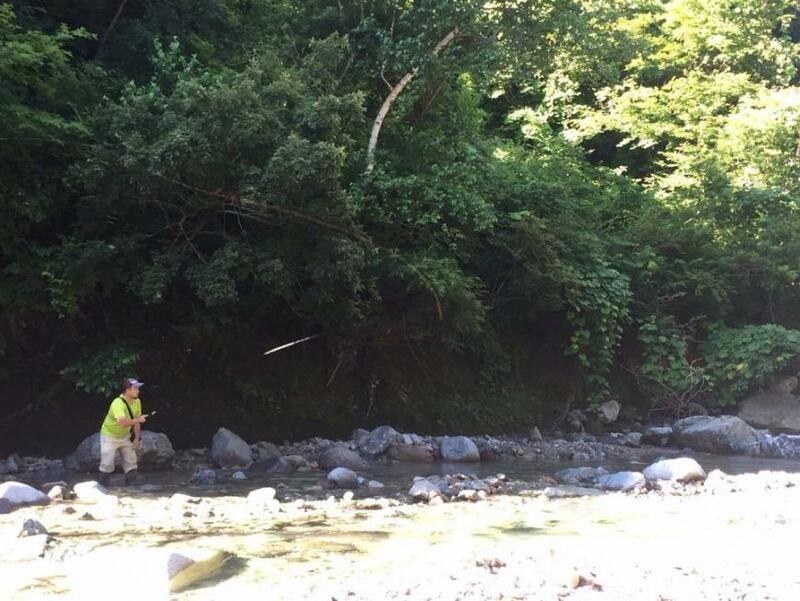 I have seen a few big groups of *Keiryu anglers sharing their experiences high up in the mountain stream. Tadashi Otani: Unfortunately, I have not had the opportunity to experience the so called “Genryu” camp outing. It could be that I don’t have too many around me that are into that type of tenkara, but I would absolutely love to try if I had the opportunity. Adam: Estes Park in Colorado is where our last Summit was held. It is a fantastic fishing and mountain sports destination. On top of the great gathering was an excellent area that would hold many fishermen without being crowded. When I was visiting in Itoshiro, it seemed to be great destination. It’s right beside a road in a mountain village. I remember passing “Winghills” sign that I thought was cool and all the shops and signs for mountain sports. Fishing in heavily pressured areas is something that I avoid but I will do it to be with other anglers. My preference for fishing areas is as high in the mountains, far off the beaten path as I can handle. Here at home, it is not unusual for me to be three or four miles away from the car, alone, fishing a mountain valley stream. When I am at my farthest point from the start, I will sit down and make some ramen or eat bento lunch of onigiri and drink Asahi beer that I brought in my backpack. I enjoy making the lunch while thinking about where I am going to have it and then I really enjoy being in the place where I finally sit down and enjoy it. Really, fishing is many things for me and it goes beyond just casting to fish and catching them. Tadashi Otani: In most stream fishing environment in Japan, there’s a hot spring nearby. So if fishing isn’t good, that’s where I’d like to head to. Mountains in Japan offer different mushrooms and edible plants by the season, and climbing slopes looking for them is also a great fun. That’s on top of seeing guys you love to hang out with, so things never really get old when we’re out fishing tenkara. Adam: I’ve been doing mountain fishing alone for a long time, a couple of decades and Tenkara? It’s now approaching a big part of that time. I now kill more trout than ever. I don’t take a meal every time I go and I take less than a dozen per year but that is a dozen more than I used to take. Tadashi Otani: There are countless rivers and streams in Japan from large mainstreams to tiny creeks. Some are healthier than others but over-all, there are too many anglers for the fish population which is declining. The effort to reestablish the native fish population is definitely here, but the sad truth is that catch and release being practiced now has not shown the positive result an angler would want to see. Sure, keeping a catch here and there for a “shioyaki” or “kotsu-zake” would be alright but Japan as a nation and its fishing industry as a whole, need to recognize the need for more effective catch and release practice or at least setting keep limits so our children and their children can enjoy what our generation did. Adam: I really enjoy making shioyaki and then afterward, kotsuzake. I see this as an important fishing ritual and it is one of the greatest things about my fishing. I often think to myself, “Why do I bring Sake with me? Why do I prepare trout in a simple way that is so much better than cooking it in a pan, breaded, then heating Sake with the bones of the trout and drinking it?” Why do I do that? But I know the answer, “Because it is organic to what I do.” Tenkara fishing has become more of a discipline and now a habit. It’s an indirect path to how I choose to improve myself. I respect the Japanese way of life, the culture, and her people and of course the fishing. It is the calling card to something bigger, the way that I look at improving my life. Tenkara is not something so mystical that I could not do without, I was doing fine as a small stream fly fisherman before Tenkara. My own spirituality in the mountain pursuits that I do, living in the city, visiting the mountains, I’ve learned the nature of who I am. I’m split between living in a city and being immersed in the mountains. My own chosen faith helps me and I live a good life but it is Tenkara and all that goes around it that helps me realize where I really want to go. Tenkara fishing is not a religion for me, I already have my own faith. It’s a small activity that is a part of something bigger and that little small part is quite important. I’m an American, I have tremendous freedoms but with those freedoms, it is so easy to lose discipline and focus. For me, I strive for a Tenkara style life. As a middle aged man living in a huge city, life in America is quite complex. I enjoy making things easy for effectiveness and efficiency. The choice of Tenkara does not make this happen, I am a fisherman, discipline makes this happen but as a fisherman, it is Tenkara that represents this way of looking at life and fishing. He is the next Interview that I will do. I really don’t see fishing as a religion, it’s just fishing but I am a fisherman and Tenkara stands for simplicity, mountains and fishing. This is the easiest way for me to describe why it is such an important activity that is a small portion of my life that means so much more. Tadashi Otani: Tenkara, on top of being a passion, provides with the means to communicate with the universe to me. It allows me to communicate with beautiful fish, the environments which nurtured them, other species of animals you get to encounter when fishing and on top of that, I get to communicate with wonderful people who share the same passion and great level of knowledge of trout and the environment. What is important to me is that I would not be answering your questions now if I had not picked up a tenkara rod; so tenkara really has helped expand my world. Adam: It takes me at least an hour and a half drive to get to the closest mountain streams. My best streams are a two to four hour drive. I’ve been fishing my favorite stream for fifty years, it makes me happy but it takes a lot to go fishing mountain streams in Arizona. About once per year I travel to Colorado for fishing. It’s a big area with lots of mountains and streams. The fish are big and there are a lot of them. For me, this is the best fishing that I can get to without too much travel or costing a lot of money. 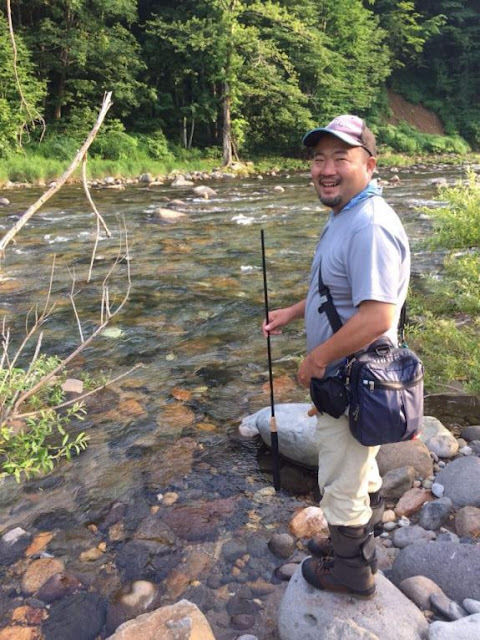 Tadashi Otani: Most rivers I fish in are 30 minutes to 5 hours away from my home. Some of the closest streams are very small and the fish I catch there tend to be small as well. And there aren’t a lot of them in that stream, but it forces me to be more intricate and delicate with my techniques and help improve my fishing greatly. There’s nothing like dipping yourself in onsen after a long day’s fishing, before drinking to a fire with the guys talking about fishing all night. The experience is incomparable to anything else. Tadashi Otani: I’d love to try tenkara in the US, but I haven’t had the opportunity yet. It’d be great if we could fish together on your home river. Adam: I have a small quiver of rods that work for me where ever I go. I like Tenkara USA rods, the Rhodo (3-way zoom 2.7m – 2.9m - 3.2m) the Sato (3-way zoom 3.3m – 3.6m – 3.9m) and the Ito (2-way zoom 3.9m – 4.5m) these three rods make a complete Tenkara level line system. I also use Sebata-san’s Daiwa HZ 40 and 45 with muti-strand lines that he has given me along with his kebari. It’s a great system and I tend to use it when the wind is up or on larger water. I have a couple of loose rods, a Nissin “Airstage” 4.1m which I really like as a light level line rod with good accuracy and a Tenryu 3.9m rod that is fine and is also a light level line rod that is extremely accurate. Besides the Tenryu, all other rods are at least a couple of years old, the Daiwa HZ is 22 years old and my Ito is the oldest rod that I own at about 3-4 years. In America, Tenkara is about 6 years old now. Early on, 5 years ago, I started to import Sakura Tenkara rods. 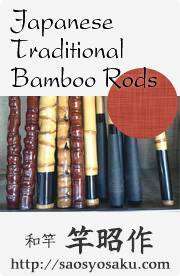 They are a beautifully crafted Japanese rod that are considered traditional craft by the country of Japan. No one was importing rods at the time and I wanted an older, nice established Tenkara rod from Japan. I ended up selling many long time Tenkara anglers their first Tenkara rod. Daniel Galhardo had introduced me to Tenkara and I took one of his rods to Japan and caught Iwana with it. At the time, I was studying Yamamoto Soseki’s books, Hiromichi Fuji, Kazuya Shimoda, reading their books, using the equipment that they used. But I wanted new, different, better, best, I wanted the latest and greatest Tenkara rod. What I didn’t realize is that I could have purchased excellent used equipment and a lot of it to test what I liked inexpensively. I should have looked backward instead of buying expensive rods. It is a slippery slope when you are learning something new. Fortunately, I have learned about rods by doing and Tenkara rods in particular from a long history in fly fishing. I started to think about what makes Tenkara so special and it’s not the equipment, it’s the skill. The equipment really has less to do with it than the skill. I keep my quiver small, 8 rods and I never have more than seven just in case I find a rod that I really like. I had to get rid of two new models of Tenkara rods in order to bring in my Daiwa HZ’s, Sebata’s 22 year old model. I got rid of two brand new models of Tenkara rods in order to make room for 22 year old rods. The reason? Sebata-san still uses those rods and many people in Japan that are very good at Tenkara use them too. I know this also from fly fishing, there are excellent rods that stand alone and are many many years old that do the job better than the latest and greatest. Mostly, it’s from the angler, but it’s the rod too. Tadashi Otani: I believe that no matter what rod you fish with, each angler has his own ways of fishing, and “a new rod” would not necessarily make one’s fishing improve. If you have good level of experience, and understand the casting mechanism, you probably would be able to fish at a certain level with any rod. Sometimes a rod that feels awkward, matched with the right casting line, finds the perfect balance and becomes phenomenal. With the right knowledge and experience one would be able to make the rod work to a great degree. A good tenkara angler would cast his “mind” through the lines. It is easier to communicate with your gear if you’re accustomed to them, so whether new or old, something you know how to work with the best is the best rod and gear. I’m not denying the excitement of seeing new rods come out each year. Seeing them with hopes that more wisdom and technology would be reflected is important. 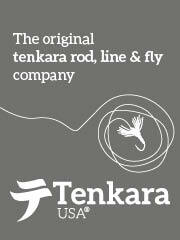 If you’re new to tenkara, it probably would be difficult to find rods that are out of production. In terms of having access to replacement parts and etcetera, I would recommend purchasing a rod that is in current production. Any angler would not really function as an angler without a rod, so I hope for all of us to love and take good care of our rods. Tadashi Otani: I currently use 3 rods mainly. Nissin “Zerosum” 3.2m, Shimano “Keiho” 3.6; this is my first rod and it is a bit too stiff, but I keep it around as a backup, and Shimano “Honryu” 4.4m. I used to own a Shimano 3.4~3.8 zoom rod but it broke. What I look for in my rod on top of its ability to cast and weight balance is that I have access to spare parts. You trip, fall and bang your rod on trees, rocks etc. If you’ve fished with your rod for some time you’re used to using it, and you want to keep using it right? For those reasons, I’d say my current go-to rod is the Shimano “Honryu” 44. Now, something that has become a small hobby within tenkara for me is to look for telescopic rods made for other type of fishing. They have to be a reasonable price to keep it fun, and there are some good finds. There’s a tiny creek maybe 1.5 meters (5f) wide, and I have this tiny 1.8 meter (6f) rod to fish in it. Sometimes I enjoy this “less-formal” type of tenkara. Adam: I think some of the questions that I have asked you may be a little difficult. I also jumped right in there and asked Tenkara questions, that’s what we do here but what about you? Tadashi Otani: I’m married with a wife who’s 8 years younger, whom I have a 14 year old daughter with, and we have a dog. I live in Shizuoka prefecture of Japan. I suppose if I said the prefecture with Mt. Fuji, it may be easier for you to understand? I can access to beaches facing the Pacific about 30 minutes away, so before tenkara I’d done a lot of saltwater lure fishing. We do a lot of camping, but I’m the only one with a fishing rod usually. My career is in the automotive industry, but I may be switching job soon. Finding the right balance between family, work and fishing is the challenge I face. Adam: I am 54 years old, I am married and have three boys, 8, 18 and 22 years old. I live in Phoenix, Arizona for almost all my life. I started out as a skateboarder, a surfer and a soaring pilot. I used to do a lot of mountain flying in my paraglider, hang glider and I love kiting sports. My professional life is in medicine, I am a cardiovascular technician for many years. I started my work life while in the Army where I visited Japan and did joint training with the Japanese Army at the Camp Fuji Marine base. I started fly fishing very young and progressed to making bamboo fly rods until I learned about Tenkara. At this stage in my life, I do a lot of hiking and fish Tenkara. “Otani-san, are there any questions that you would like to ask me? Tadashi Otani: As I answered earlier in your questions, when I go fishing I always look for the edibles in the mountains available at that time of the year. It helps me appreciate what the nature has to offer, and makes the “season” feel more real or closer. Adam: I have not had the guidance of people in the mountains. It is my own exploration and the knowledge to forge for edibles (sansai) is not simple when I do not have a guide. I drink the water from the stream but I am still learning which plants are good for food. I'm still a little afraid of doing it myself. Adam: As with all the Interviews that I do, I would like to offer you the opportunity to say anything that you want. Please feel free to say anything you like. I have many thanks to Go Ishii for the translation and to Tadashi Otani for submitting to my questions. Tadashi Otani: Adam-san, I’d like to thank you so much for this wonderful opportunity. I hope this interview would help and entertain those who share the passion, and help in any way. Answering your questions was a true joy, and a great experience for me Adam-san. There are much more I’d like to tell, but we shall save those for another time. *Keiryu is a generic term for mountain stream fishing, it could be bait, Tenkara of fly fishing. The American Tenkara audience has adopted the term “Keiryu” as a term for mountain stream bait fishing of which it is, but it actually is a broader term that includes all forms.